Content marketing. It’s all the rage these days. Seems like everyone in business is talking about it. Many are writing about it (including us). There’s probably no topic in the modern business world and media that receives more attention. Do a Google search and you will get almost 52 million results. And there is probably no marketing tactic surrounded by more hype. 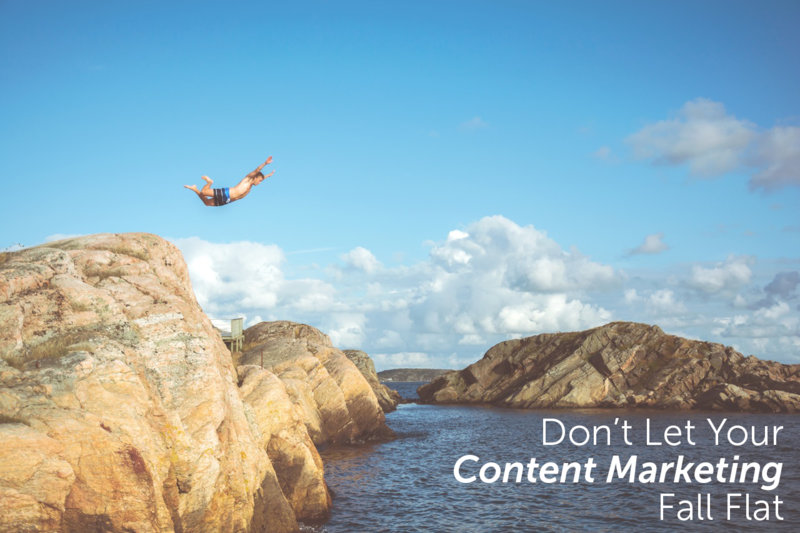 Like a lot of small business owners, chances are you jumped on the content marketing bandwagon with high hopes that it would help propel you to previously unreached marketing and sales success. And like a lot of your peers, maybe you are disappointed with your content marketing results. So what can you do about it? Well, let’s talk about that. And for our purposes, we will discuss both content marketing and copywriting. As this Copyblogger article points out, you need both. By the way, Copyblogger, is a stellar resource for small business owners like you wanting to enjoy more content marketing success. In today’s marketing world with all of the great technology and superb ideas available, it’s easy to fall for “shiny object syndrome” – that is to think that one single tactic or one single channel will solve all of your marketing woes. Not gonna happen. You need a strategic, unified, integrated approach to marketing, in which copywriting and content marketing play key roles. The type of copy and content writing that will bring you the level of success you want bears little or no resemblance to the research papers you wrote in high school or college. In fact, I would go so far as to say that effective copy and content would horrify your high school English teacher. After all, it’s been determined time and time again that when it comes to content: simplicity is key. Here are a few basic tips to get started. Be personal with your audience: Learn to write “conversationally,” as if you are having a free-flowing discussion with an old friend face-to-face over coffee or lunch. Develop the mindset you are “talking” in print. Use simple language: Most people reading online want to digest content quickly and easily. Keep your vocabulary and sentence structure basic. Keep your sentences and paragraphs short. Use a tool to measure the readability of your content, like Readability Score. Make sure your content could be easily understood at a grade school reading level. Learn to love white space: Sometimes you will want to go so far as to include a sentence or paragraph that is as short as one or two words. But other times you want to go slightly longer. Rarely though, will you want to make your paragraphs longer than four to five lines. When your readers see your content, you don’t want them to see large, uniform blocks of text they subconsciously dread having to wade through. You want them to see lots of white space – lots of area in the body of the content with no text at all. This will make your content much easier to digest and will make it much more effective and engaging! Have fun: Want to get really radical? Don’t be afraid to use the occasional sentence fragment or well-placed bit of slang. We know it sounds crazy… But remember, you’re trying to have a conversation with your readers. And we can only hope you don’t speak like a robot. I think it’s probably human nature to want to get people’s attention and impress them by talking about yourself and your product. Well guess what? This can lead to abject failure in sales and marketing. Want to impress your audience? Want to grab and keep their attention? Focus the bulk of your content and copy on them and their needs. On how you can help them. On how their lives will be different with your product. This will help you stand out and get noticed instead of getting lost in the barrage of content your audience faces. People are emotional creatures. They, even the most logical like engineers and scientists, can’t make a buying decision without at least some emotion involved. So get them emotionally involved as they are reading your content. Talking empathetically about a pressing problem they have and how you can help them solve it is a good start. Bottom line here? Write content people will want to read. That they will enjoy reading. Content that may even be a little humorous and entertaining. Content that will show how they can solve a problem or reach a goal and that gives them hope they can do so. So. You have your attention-grabbing content written. You and your team are thrilled. You may even feel like celebrating. You put your latest article on your blog. Or you put your latest whitepaper on your website’s “Resources” page, enthusiastically expecting a huge response. And what happens? Nothing. Your content is greeted with dead silence. Obviously you don’t want this to happen, so take the advice of content marketing strategist Jay Baer and “market your marketing.” You can’t just publish and pray. You have to promote your content. Do this through social media, email marketing, even paid advertising. 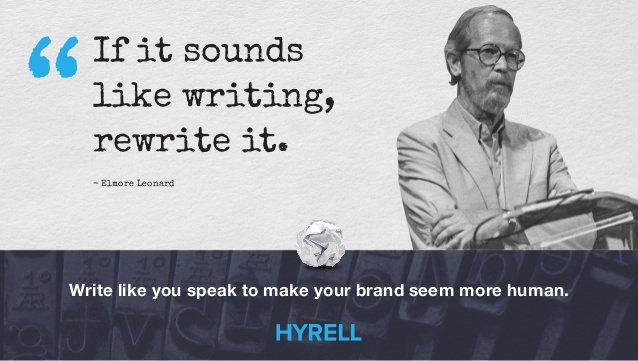 This is a key area where copywriting comes into play as part of your approach to content marketing. Just like you would use effective, persuasive copy to help sell your products, use it to help you “sell” your content. Granted, you will end up giving away most of your content for free. But you still need to persuade potential readers to take you up on your offer. A good way to do this is through email marketing and landing pages with awesome, kickass copy. Once you’ve mastered these most basic channels, we recommend Also, harness the power of SEO. Understand which keywords your audience is using when they are searching for the solution you offer and include those in your content and copy. Not only will that give you an SEO boost. When your readers see the words they have been using to search, your copy will win an immediate increase in relevance in their eyes. Relevance. It Matters. A lot! So speaking of relevance, let’s backtrack a bit. Even if you do a great job of promoting your content, if your audience doesn’t find it relevant to their needs and desires, it will fall flat. Remember this cardinal rule of selling and content marketing: Find out what your audience wants and show them how you can help them get it. They don’t want “content”. .” They want solutions to problems. They hope that there is a solution. So you need to create content that educates them on the solution. I can’t stress this enough: Know your audience and give them what they want. Do this and your content marketing, marketing in general and sales efforts will be wildly successful!